Back to school time can be filled with excitement, feeling overwhelmed, sad that a new year has begun and your baby is another year older! Ready or not, here it comes! We seriously cannot even believe that summer is winding down and school is right around the corner! The countdown is on for the kids to head back to school and there is so much to think about, from getting the kids back into a routine, how many uniforms you need to buy, what shoes to buy and much more. But before you curl into a ball and sob at the thought of homework, tests and waking up early (we have chills just thinking about it! 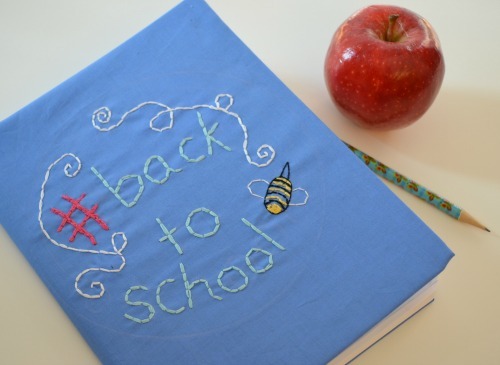 ), let us present to you the most amazing back-to-school hacks to make your life easier! Here are some more of my Back to school Hacks to make life easier at this busy time of year. Back to school shopping is always mayhem. I recommend visiting the shoe store early January as the fortnight before school goes back is very busy, and there is a possibility they may not have the shoe you need. It’s important to get the shoes professionally measured and fitted properly to ensure they have the right sized shoe for their feet. The best time to buy shoes is in the afternoon as the foot will be at its largest. Fitting shoes, while the foot is at its largest/swollen, will ensure the best fit for your child throughout a full day. 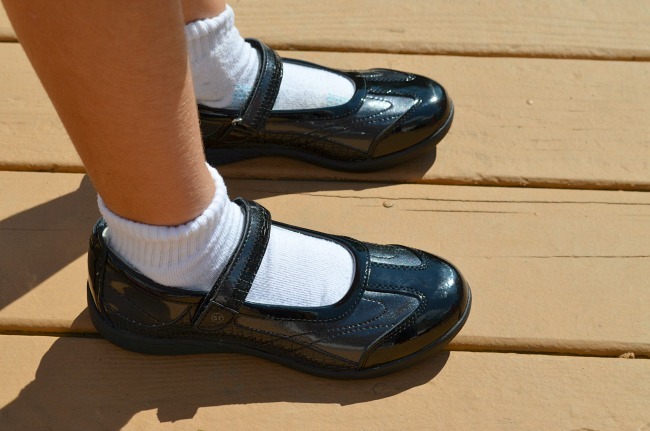 Remember to take with you a pair of their school socks and orthotics if they wear them. Little girls need to have their hair pulled back tidily out of their face for school, and along with it, there is an abundance of pretty bows and hair accessories that go with this task. 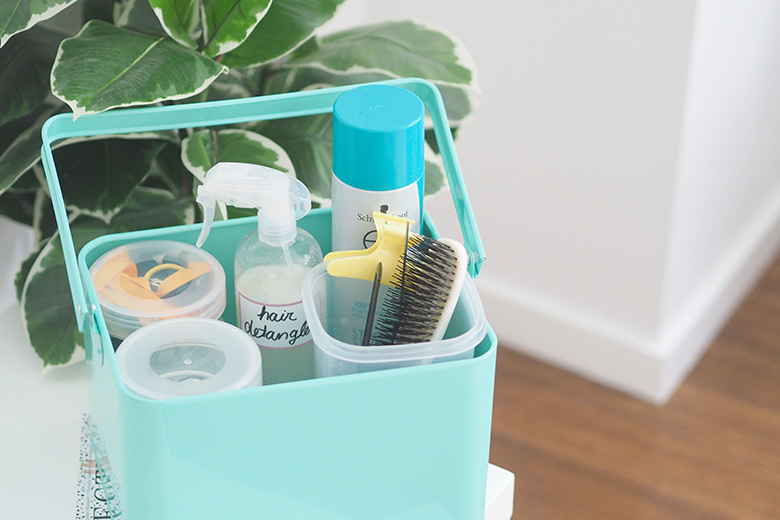 To stop the scramble in the morning looking for the brush, hair detangle and bows make this task a little bit easier by creating a hairstyling caddy so you have everything on hand. The hours between 3pm and when the kids go to bed can be chaotic with running kids to after-school sports, doing sight words, home readers, washing uniforms and fitting in down-time to recoup after a busy day. 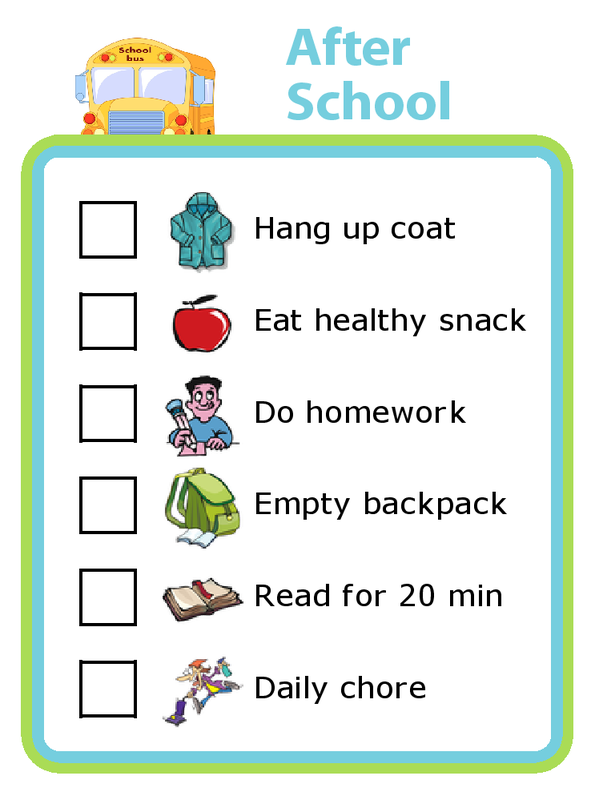 Creating checklists with visual cues will help the kids on these busy afternoons to know what they need to do before their down-time and also if their attention starts to drift, you can point them in the direction of the chart rather than a yelling match. These checklists saved my sanity to helping me to remember everything too. Keep a pack of baby wipes in the glove box for those mornings where you look back at the kids and notice vegemite on their face or toothpaste on their uniform. Mornings maybe manic getting the kids ready for school, but remember to take some time for you too. This can be so you can exercise, have a shower or cuppa before everyone rises or simply do a few jobs around the house. You can spend hours contacting your kids books, or save your sanity and purchase book covers from the office supplies store. It will take you 10 minutes tops to slip on the covers or hours of frustration when using contact.